Typedrummer is "an instrument for making ascii beats". It makes drum routines out of whatever you type into it and loops it. We think that each each key, an alphanumeric symbol, is coded with a number, which is somehow programmed to play a specific sound, badum tish. The instrument was developed by Kyle Stetz, a designer and developer working at P'unk Avenue in Philadelphia. 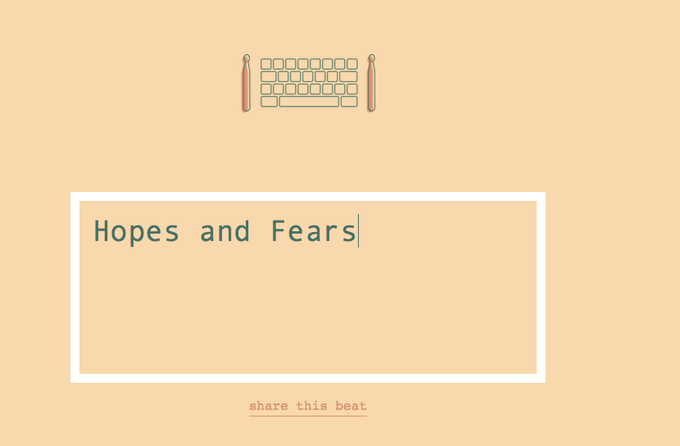 Click to hear what "hopes and fears" drums like.